Navy & pink stripes? My heart be still! This summer staple from J.Crew has quickly risen to my top 5 favorite summer looks. I can toss it on for date night with a pair of wedges, or wear it to a Braves game with some sandals. I love how it pairs perfectly with my YDC cuff. Speaking of: Have you entered to win a cuff of your own? Laura is graciously giving away one of her stylish cuffs. Go here to enter! 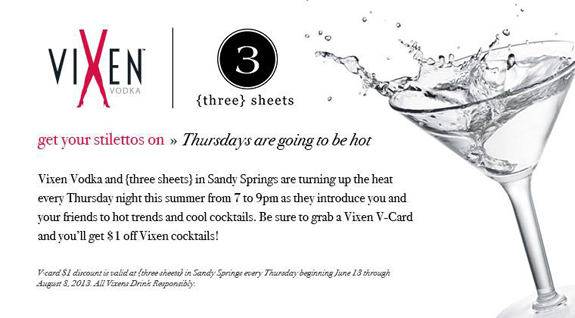 And, if you're an Atlantan and in town this week, stop by 3 Sheets on Thursday night for a sweet summer evening with Vixen Vodka & Simple Sarongs from 7-9. It's bound to be a good time for all. Linking up today with Lauren from Style Elixir & Shanna from Because Shanna Said So! Girl, this dress is so cute on you!! Such cute dress! Truly perfect for summer, too. 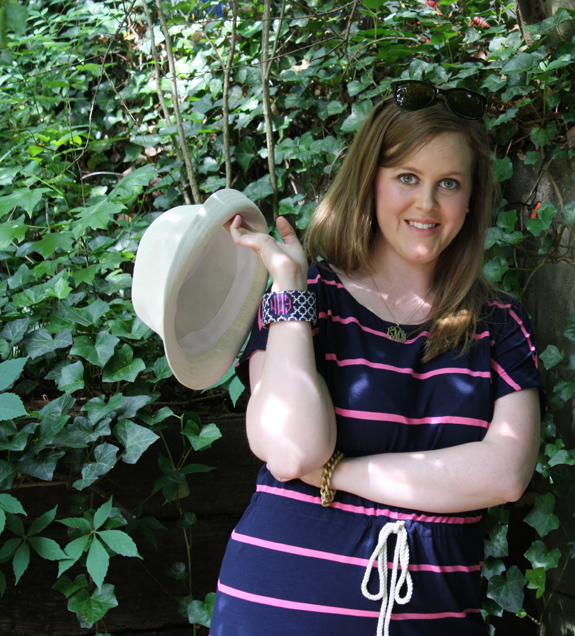 Darling dress, darling hat, darling accessories! Loving this entire look.